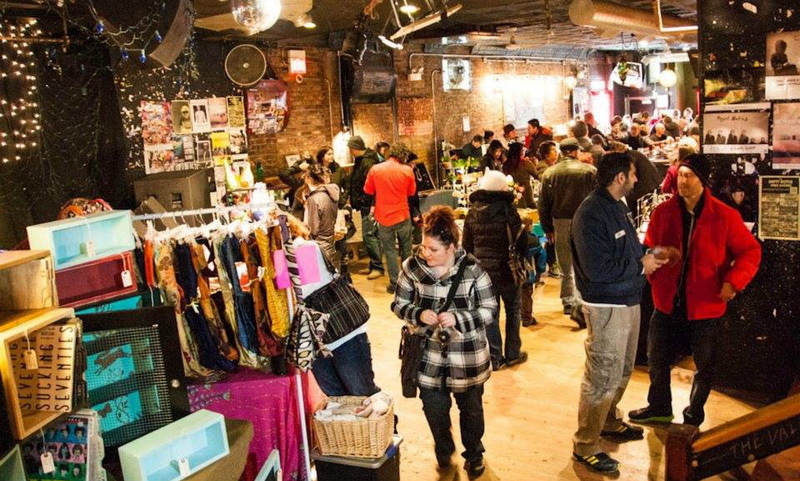 Don’t be fooled by its unassuming storefront: This is Chicago’s premier indie rock club, hosting cutting-edge bands from home and abroad. If you need to get away from the noise for a while, the club has a comfortable front room, complete with a pool table and pinball. At the bar, you'll find affordable drinks, yellowed gig posters and tons of strips from the Bottle's old photo booth. Come to see your favorite garage rocker, up-and-coming band or electronic tinkerer (and show up on Monday nights, when most shows are free to attend). Still one of the best places in Chicago to see a show. Grab some preshow food at Bite, next door (BYOB but get booze from the Bottle and bring it over! ), head over to the Bottle and see well curated, well mixed rock from all over the country and world. No nonsense, gritty, dark, just like Chicago used to be. The Empty Bottle is a great dive. I love coming here to catch local bands and touring acts too. The bar is cash only, the music is loud, the crowd is great, and it's always a fun night. More than just a dive bar, Empty Bottle is a true unpolished gem of Ukrainian Village. 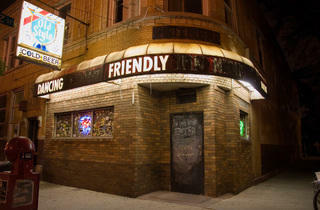 Their awning boasts “MUSIC FRIENDLY DANCING,” a motto every bar should undertake. They have free concerts on most Monday nights and great concerts almost every night. 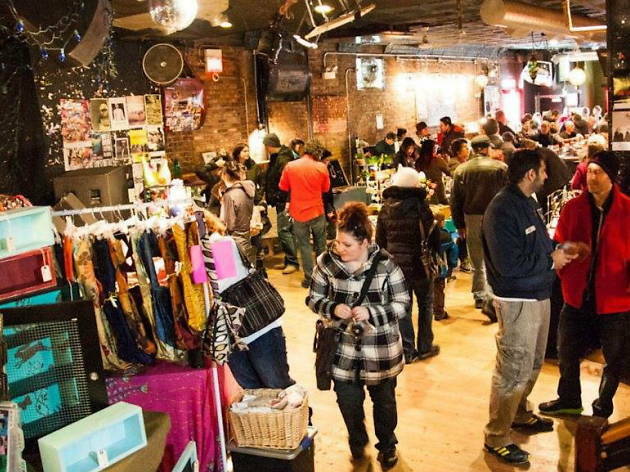 Aside from concerts, the EB has some arcade games, a pool table, great markets, swaps, dance parties, and even a book club. The bathrooms have ever-changing graffiti, perfect for posting on snapchat and instagram. And if digital selfies ain’t your style, the photobooth was recently renovated, so you can memorialize your night out with a tangible photo strip. If you hear a purring whisper, make sure to say ‘fancy feast’ three times fast in the bathroom to see the ghost of the greatest venue cat in Chicago, Radley (RIP). Empty Bottle is the perfect spot to catch local and on the rise acts, cheap booze and is always a good time. The venue is a bit less dive-y after remodeling last year, but it still has that low key, grunge-y vibe that is EB’s charm. They always have good drink specials at the bar and you can play a game of pool or pinball up front if the band onstage isn’t doing it for you. Grab dinner at Bite next door before a show, it’s got an excellent menu. And one of the best classic photo booths in the city! As far as local venues go, The Empty Bottle isn't half bad. 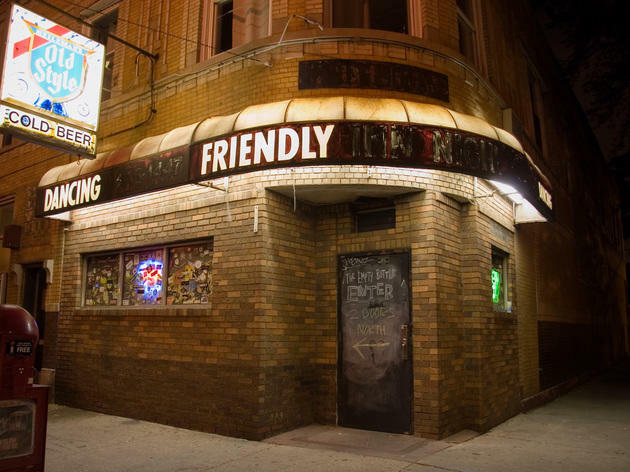 It’s basically a spacious bar with a stage that plays host to a laundry list of Chicago indie bands and a touring acts as well. The stage is a favorite of many regional heavy hitters and newcomers from across the country (and world) alike. The cover charges are typically pretty low, so that's always nice too.